that this would bankrupt the government and force a complete overhaul of our distribution of income. It wasn’t that they thought there was no work for blacks—just that it was beneath blacks’ dignity to do it. By 1968, the organization was staging more than two hundred protests a month, sometimes assisted by the Panthers. Traditional civil rights leaders didn’t get it. Piven has recalled, “We met with Whitney Young [executive director of the National Urban League] … and he gave us a long speech about how it was more important to get one black woman into a job as an airline stewardess than it was to get fifty poor black families onto welfare.” But when Piven and Cloward published a manifesto in The Nation, there were 30,000 reprint requests. One thousand neighborhood service centers nationwide encouraged people to go on welfare who would not have otherwise. In the '60s, one-third of the people whose incomes made them eligible for AFDC were on the rolls. By 1971, 90 percent were. For three decades, welfare was an open-ended program, unconcerned with whether people got jobs or whether children’s fathers were present or able to work. The government never fell, and meanwhile black neighborhoods started falling to pieces. The near-fatherless tracts now thought of as normal would have sounded like science fiction in even the poorest black districts before the '70s. Rarely in American history have people with such a destructive agenda had such power over the lives of the innocent. I wish Piven and Cloward had stayed obscure teachers instead of helping to ruin the lives of, for example, some of my relatives. I meant this. I have written, and often said in public, that I would have seen perfect sense in what Piven and Cloward were advocating if I had been there at the time. What rankles me is that the experiment was such a resounding failure, and yet Piven has continued to insist that what she advocated was a good thing. It seems callous to me. And: My annoyance here is based on a larger argument I have made at length and often, such as in my Winning the Race, that the new kind of welfare in the sixties was decisively poisonous for black people who deserved better, and had a lot more to do with the black community’s problems than, say, the relocation of factory jobs to the suburbs, which is the accepted op-ed page wisdom on such matters. Now: Of late, Glenn Beck, for reasons of his own, has mounted a crusade against Piven (Cloward is deceased) which has resulted in death threats against her as a Marxist threat to our nation. This chills and disgusts me. I have never advocated witch hunts of this kind against anyone whose views I disagree with, and have had no interest at all in painting even openly Marxist views like Piven’s as inherently “unAmerican.” I entirely respect Piven’s right to express her views. What chills and disgusts me even more, however, is Jim Sleeper’s claim that in criticizing Piven and Cloward I was taking a page from Beck. Sleeper has made a blithe, messy assumption on the basis of chronology: Beck started in on Piven a year ago this month, and my blurb in these pages on her and Cloward – in fact one of ten blurbs about assorted people, not a concentrated hit on Piven and Cloward alone – appeared in March. Sleeper has it that I “joined in” with Beck, then. Let me get this straight: I, “clever” but “sad” as Sleeper has it, sat at my laptop lapping up the rantings of Glenn Beck of all people, and decided to chime in with him. This vision is, frankly, exquisite – “Yep, boss!” I yip, banging out a screed designed to shore up the base that Beck and his ilk preach to. To be known as “controversial” as I am is to be accustomed to constant misinterpretation. It’s part of the territory, including what I know will be an eternal misimpression that I am a right-wing Republican because I disagree sustainedly with many of the tenets of the Civil Rights orthodoxy and worked for a conservative think tank (one which has always been hospitable to Democrats, but it’s understandable that few know this or ever will). If people want to call me “conservative” so be it – I truly don’t care. But what Sleeper is implying of me is something I cannot let stand unanswered. For one, despite that my New Republic piece appeared last March, I was writing about Piven and Cloward as far back as 2000 in my Losing the Race, a book Sleeper reviewed and claims to have “rather” liked. I have also written about Piven and Cloward often since then, such as here. 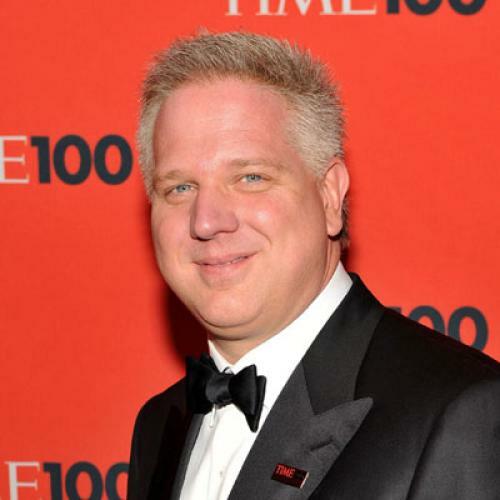 That is: I am at least “clever” enough that I do not need Glenn Beck to teach me my social history. Instead, Sleeper is savoring a gratifying narrative according to which I am a “sad” figure – the “clever” black writer who gets co-opted by the riches and fame offered him by the right wingers. Never mind the condescending notion that actual black conservatives must be, by definition, “co-opted.” Here, his depiction of me is, quite simply, grievously inaccurate -- and is a rare example of criticism of me that verges on calumny. Yes, we are all misread, constantly. But I am moved to respond to Sleeper’s charge because I simply cannot tolerate the idea that I would actually be in bed with the kinds of people who mount hostile, anti-empirical crusades against people in the press. And yes, the timing is especially poignant right now because of the national discussion of what happened in Tucson. Important: I am hardly implying that Sleeper is amiss in not having followed ten years of my writing. I am one of thousands of writers on countless subjects, and none of us can follow everybody. I, for one, do not follow Sleeper. But to tar me as a Beckian on the basis of having read a book of mine eleven years ago and then a few paragraphs I wrote ten years later – and logically, it can only be that this is exactly how much of my work Sleeper is familiar with to paint me the way he has -- will not do. I am one “conservative water carrier” who has, in fact, disappointed countless right-wingers who, like Sleeper, assumed I was a new Shelby Steele or Ward Connerly, but found out otherwise. There are people in this crowd who have basically cut me dead since I came out for Obama, for example. So: Again, I deeply disagree with what Frances Fox Piven advocated. However, my disagreement has nothing to do with Glenn Beck or anyone like him and was never intended to spark ad hominem crusades against her or anyone else. This constitutes my official risposte to what will be a floodlet of discussion on line over the next couple of weeks on the Beck/Piven affair, sparked by Sleeper’s piece, in which my name will be paired with Beck’s.